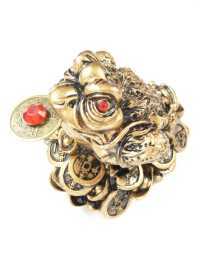 Three legged toad, a symbol of wealth in the Chinese tradition. It catches money and holds it for the owner. Put it near the entrance of your house or business, facing the door.